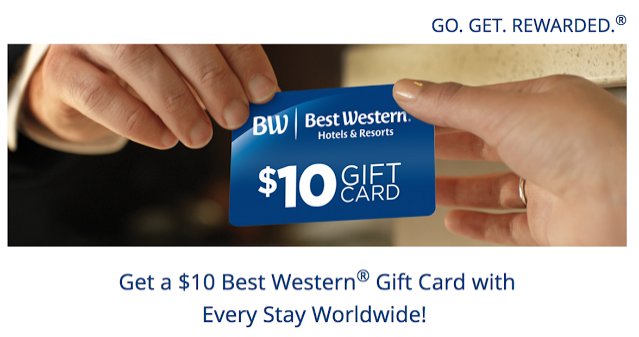 As a follow up to our post on Best Western's new systemwide promotion that provides a $10 Gift Card for each stay where we mentioned that we were unsure of the value of the card for currencies outside of the U.S.. We reached out to BW and they told us it would be the equivalent of US$10, so for Canadian BW Rewards members you will get a gift card of roughly C$13 for each stay. 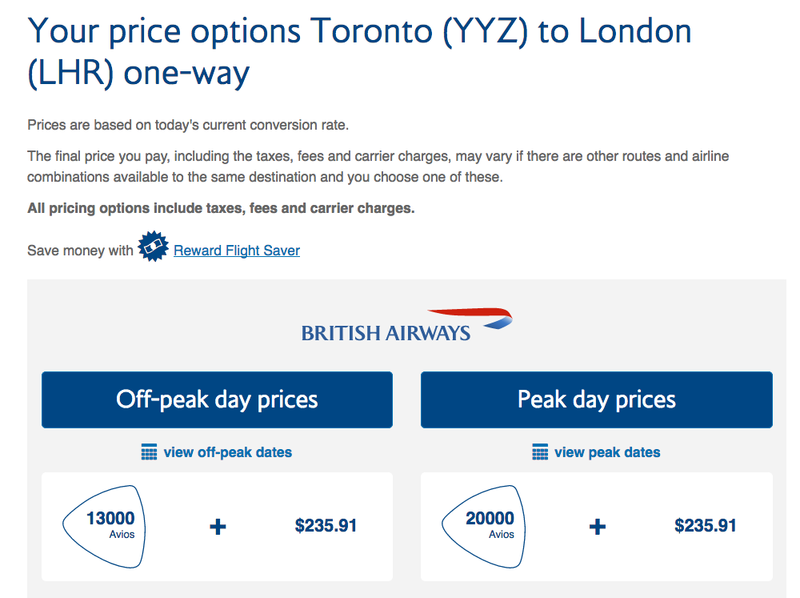 British Airways launched a 50% discount offer for redeeming for select award flights to/from London Heathrow or Gatwick and their Canadian destinations are included. The 50% even works on their off-peak award rates that are see cities like Toronto and Montreal which are normally 26,000 Avios off-peak drop to 13,000 Avios round trip. While it may seem like a steal in most cases it isn't. We looked at some options and while it is only 13,000 Avios Round Trip between YYZ and LHR you also have to pay just over $600 in taxes and fees. To buy the same tickets out right ranged from $680 to $780 so the points are only saving you ~$50 to $150. Not a great value. Where it might come handy however is for one way flights - these are notoriously more expensive to buy with just cash and utilizing Avios plus some cash for taxes and fees can save you some money. Of course we just had the 25% transfer bonus from Amex to BA earlier this fall and right now you can transfer RBC Rewards Points to BA with a 30% bonus so these can definitely help bring out more value during this 50% off sale. 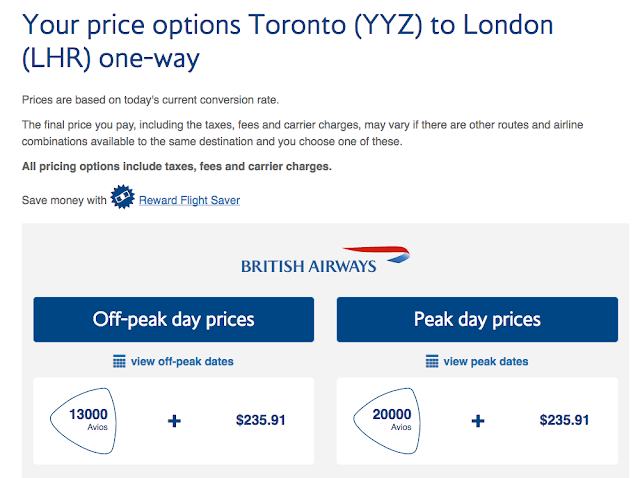 Look at this way, a one-way flight in Economy from Toronto to London is only 6,500 Avios. That equates to as little as $2,600 ($3,250 without the transfer bonus) in spending on a card like the American Express Gold Rewards card or $5,000 ($6,500 without the transfer bonus) on the RBC Visa Infinite Avion card. It is almost unheard of to get a one way flight to the U.K. for that little amount of spending or points!